In a steamy colonial city, an eccentric Frenchman offers for sale an extraordinary collection of primitive art. The two anthropologists called in to appraise the pieces for the national museum quickly find themselves in a world where the boundaries of authenticity and deception blur in the tropical heat. Enigma Variations -- in the tradition of The Recognitions and The Crying of Lot 49 -- is an entertainment as readable for its intellectual power as for its irresistible drama. "A fabulous and unique artifact, an art-historical whodunit told with great flair, intelligence, and sensitivity. Like the art it tells us so much about, Enigma Variations is a hybrid work that keeps tempting you to read it as fact although it is officially labeled fiction.... For the reader, puzzling out which is which is part of the enigmatic charm of the Prices' book -- a novel based on the authors' anthropological experiences. The Prices certainly have the great novelist's ability to breathe life into the people they invent -- and also, it appears, to breathe life into the living." "A genre-busting meditation on the nature of genre-busting... One might even say the mask of mystery and steamy tropical adventure this book wears is exactly the right outfit for approaching the question of what is and what is not art today -- whether in the humid workshops of the Amazon or in the galleries of SoHo." "Strikingly well crafted.... A useful account of the social and commercial processes whereby art objects are 'authenticated,' and of the roles scholars play in those processes. The theoretical arguments raised by the novel (concerning the epistemological status of 'real' versus 'fake' objects) are not new, but Enigma Variations will give readers a three-dimensional sense of the intellectual and social work that goes into establishing the status of particular objects. Enigma Variations is, in short, a tour de force -- and lots of fun." "Enigma Variations, an allegorical novella, is a true gem.... The promise of literary ethnography is fulfilled ... in Enigma Variations: to educate and, just as a lark, to entertain." "What is authentic? Where do we draw the lines? 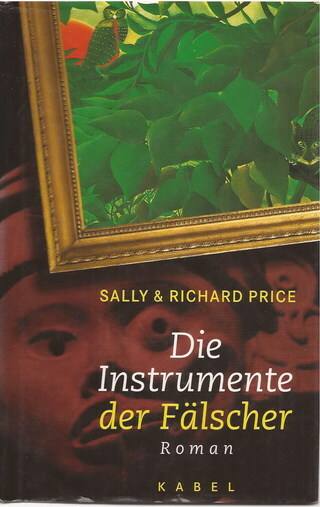 In this unusual, distinctive, and very engaging work, Richard Price and Sally Price show that the elusive answer to these questions is less cut and dried than we might think." "A rare combination of scholarly passion and an exuberant narrative skill.... Every page startles with some new revelation."